The holiday season is here, which means it's time to prepare for what is possibly the best winter beer festival in the West, if not the country. Yep, the Holiday Ale Festival returns to Portland's Pioneer Courthouse Square on Wednesday and will run through Sunday. The event will attract more than 15,000 beer fans. 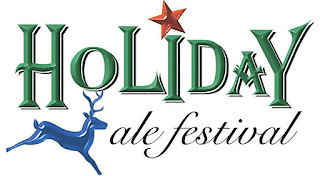 For the uninitiated, the Holiday Ale Festival is a yearly fixture. The festival is in its16th year and routinely features rare, sometimes one-off beers that you can't find anywhere. Organizer Preston Weesner, who you can sometimes find toiling away at Cascade Barrel House, often works directly with brewers to fashion interesting, often barrel-aged beers that have become increasingly popular in recent years. It all happens under the clear tents in Pioneer Courthouse Square. Don't worry about the freezing weather. The tents are heated and quite comfortable. You can drop off your coat and hat at the door for a small fee, which winds up a donation to the Children's Cancer Association. There will be 50 or so potent winter ales at the 2011 Holiday Ale Festival. It's hard to know where to start the tasting...and with a lot of these beers coming in at 8-10 percent ABV, tasting is the suggested best practice. If you overdo it with these beers, you won't be walking out of here. Deschutes Brewing Super Jubel 10% ABV • 65 IBU This winter ale was made with the same recipe as Jubelale, only with an increased amount of malt to create a stronger beer with even more hops for the most festive time of the year. Lompoc Brewing Cherry Christmas 5.6% ABV • 26 IBU Cherry Christmas is a blend of four di erent beers: Golden Ale fermented in stainless steel with sour cherries; Golden Ale fermented in Port barrels with sour cherries; Brown Ale inoculated with a lambic blend yeast ale aged in Merlot barrels for four years; and a two-year-old Gueze. 7.7% ABV • 100 IBU This is an imperial IPA, double dry-hopped with Apollo hops, known for their citrus notes, with an emphasis on orange, resin and spice. This was followed by adding American oak chips for a creamy, vanilla finish. 8.2% ABV • 48 IBU This Corsican Christmas Ale is a strong and malty winter beer featuring roasted chestnuts. The toasted nut character comes paired with a malt sweetness resulting in a strong, fortifying beer. Chestnuts are the national nut of Corsica, second only to Napoleon Bonaparte. There's a list of standard festival beers here. I've heard rumblings about the cost of attending the Holiday Ale Festival. To get in you pay $25 for a mug and 8 tokens. This seemed a bit steep, so I asked festival organizers point blank to explain. Please remember, the Oregon Brewers Festival, the granddaddy of Oregon beer festivals, for years charged $5 for a mug and $1 per tasting token. The mug price has gone up slightly in recent years, but token prices remain the same. 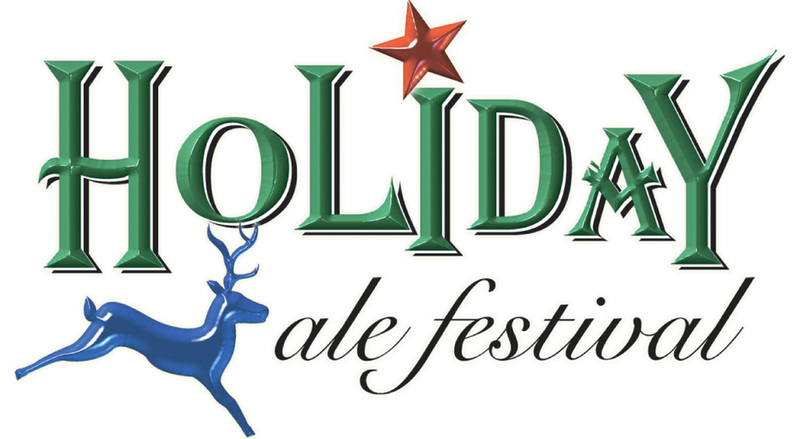 Many Holiday Ale Festival beers were made specially for this event, or are vintage or rare kegs you likely won’t find on tap anywhere else in town. They are extremely expensive to make: a keg of a barrel-aged winter beer made specifically for an event costs a great deal more than a mass produced product or a lighter, summer beer. Winter beers tend to use heaping helpings of specialty malts and spices for an extra richness in texture - leading to higher alcohol content and increased costs. We have purchased at a premium all the beers that you are tasting; they are not donated or discounted. Aside from the beer, there are a lot of extra costs associated with a winter festival that don't exist in the summer, including heating, lighting, scaffolding & tenting. I would add that increasing the price for this festival will have virtually no impact on attendance. This venue is uniquely small and a lot of us hope the new pricing cuts down the crowds a bit. I don't see it happening. People always seem able to find money for good beer. As a result, the tents are often packed all hours. Get there early if you want the best shot at tasting your beers of choice. I'll post some tasting notes once I visit the festival. Cheers! I see your choices differ from Angelo's--good. We should try to all recommend every beer at the fest and prove our uselessness to the community! I have to admit my listed choices are somewhat random. It's tough to choose from such a rich list of beers, but you have to start somewhere. It seems to me the more important list is the one we post after we taste. Cheers!